The new Sing-a-long-a sensation, Sing-a-long-a The Greatest Showman, will visit the Theatre Royal in Bath this Sunday, 3rd February, with screenings of the smash hit film musical at 2pm and 7pm. Offering a totally different way to enjoy your favourite movie, that’s guaranteed to put a smile on your face and music in your heart, if you’ve not experienced a Sing-a-long-a show before – now is the time. Sing-a-long-a The Greatest Showman is a PG certificate film, perfect for audiences aged 5 – 105 and ideal for families, groups, birthday parties and a great night out with friends. The Greatest Showman is the new Singalonga ‘must see’ – the blockbuster film starring Hugh Jackman, Zach Efron and Rebecca Ferguson with on screen lyrics so audiences can sing along. 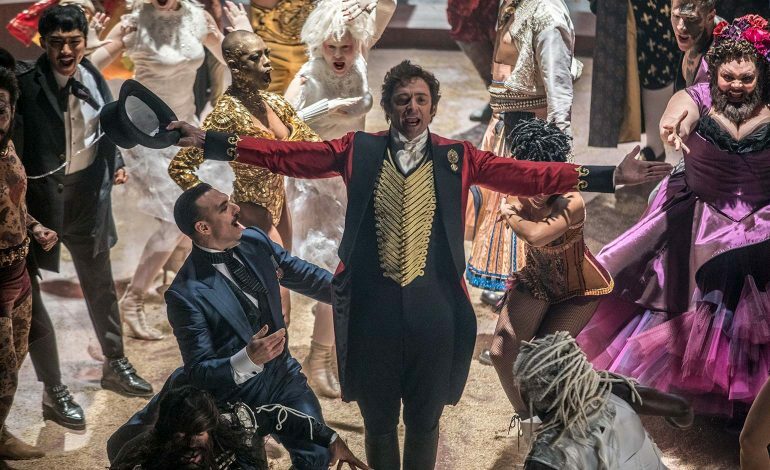 Anyone wishing to wear a Greatest Showman-themed costume can dress up as their favourite character – whilst not obligatory, fancy dress is highly recommended. The fun-filled screening will be introduced by a host who leads a vocal warm-up, judges the fancy dress competition and shows audience members how to use the interactive fun pack, containing various props to be used at strategic points throughout the film. The unique, interactive entertainment form known as Sing-a-long-a was allegedly born in an old people’s home in Inverness. The nurses wanted to involve the residents in an interactive group therapy, so they screened Seven Brides for Seven Brothers and gave out song sheets so that everyone could sing-a-long. The first Sing-a-long-a stage show was developed for the Sound of Music, making its debut at a London festival in 1999. After an initial eight-show sell-out run Sing-a-long-a Sound of Music took up residency at The Prince Charles Cinema in London’s West End and began touring the UK in 2000 playing in cities and towns nationwide. Some of the many Sing-a-long-a Productions include Frozen, Grease, Hairspray, Rocky Horror Picture Show, Dirty Dancing and Moulin Rouge. The Sing-a-long-a phenomenon is now a worldwide success, playing in cities across the globe including New York, Los Angeles, San Francisco, Toronto, Sydney, Melbourne and Oslo. Sing-a-long-a The Greatest Showman will visit the Theatre Royal Bath on Sunday 3rd February. Tickets are available from the Theatre Royal Bath Box Office on 01225 448844 or online at www.theatreroyal.org.uk.